I'm a dog person and there's no hiding it! I even have birthday parties every year for my Dixie-dog. I've also found that many of my clients love their pets just as much as I love mine ... and they want to include them in their photos. 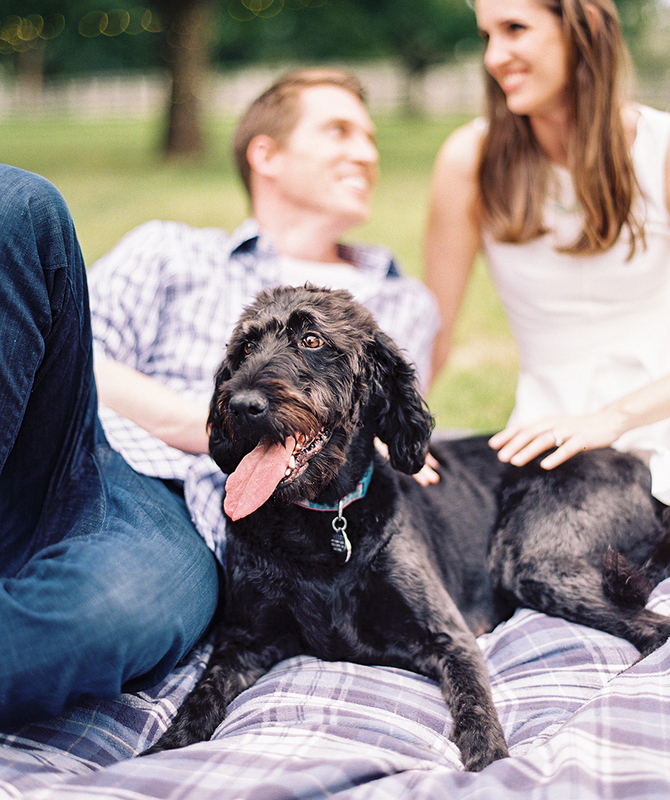 If you're engaged, you might be wondering whether you should bring your furry friend to your engagement shoot. 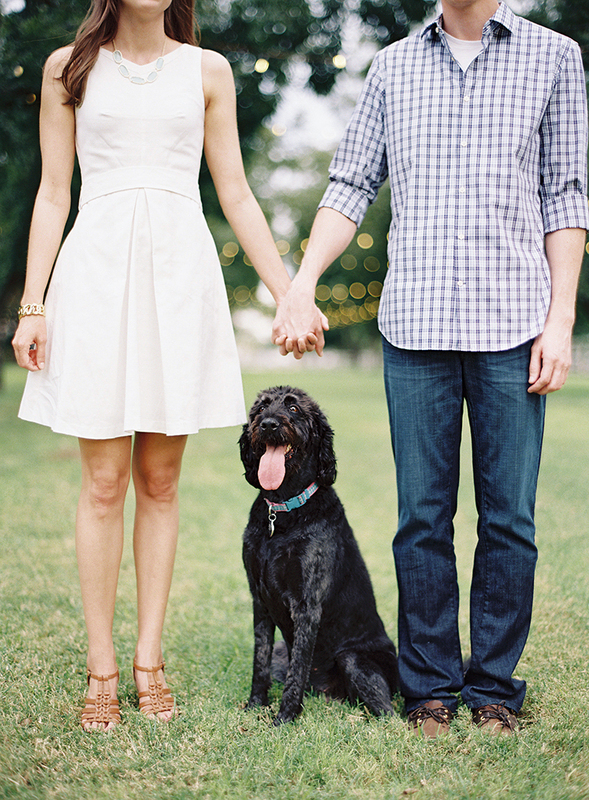 When it's possible, I am a HUGE fan of having dogs in engagement sessions! 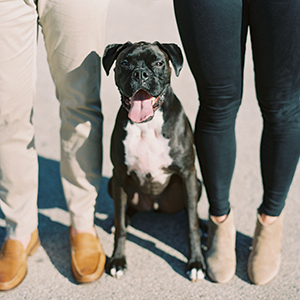 Including your dog is a great way to personalize your shoot, and it can be a wonderful opportunity to have professional photos taken of you with your pet. 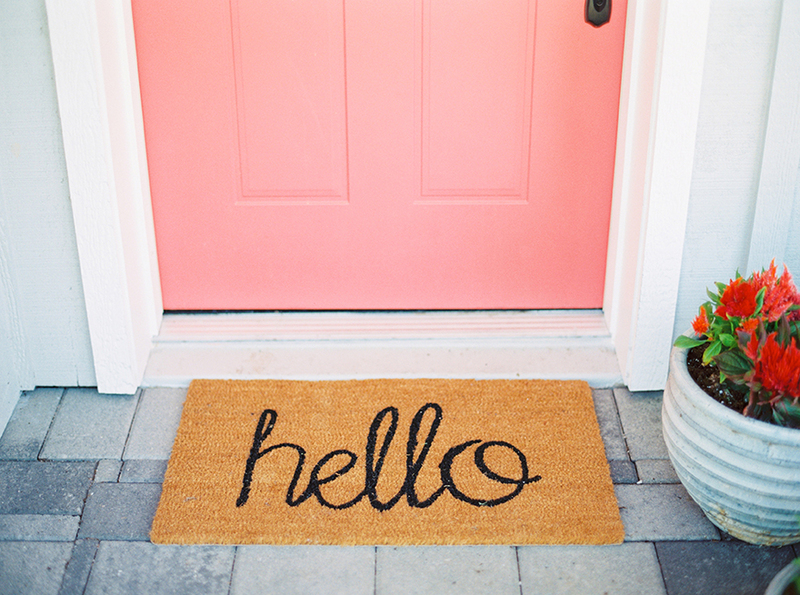 It also adds a sense of ease and comfort for many people who might otherwise feel camera-shy. After all, it's hard to feel self-conscious when you're playing with an adorable pooch! 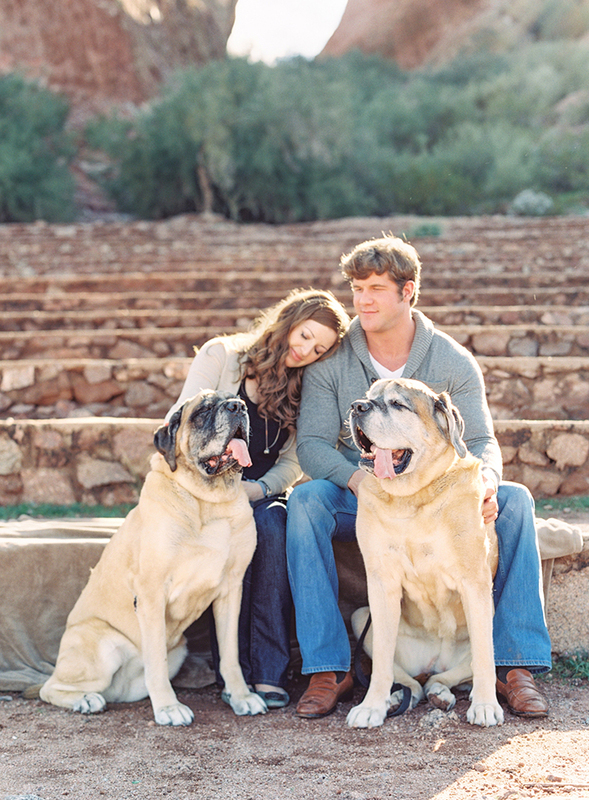 While I'm personally a fan of including dogs, your photographer might have reservations (or allergies). 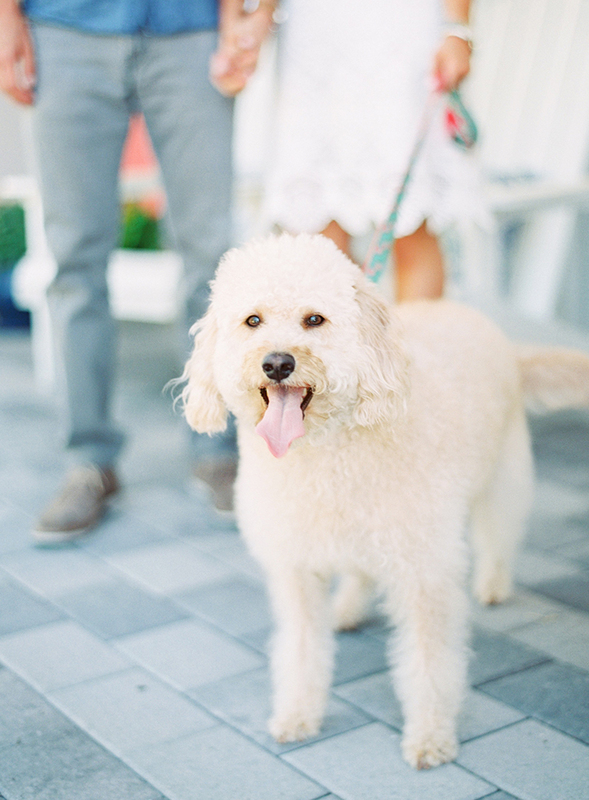 And even if they're thrilled to have your pup in the shoot, your photographer will still need to know ahead of time so that they can prepare to make the most of the opportunity. 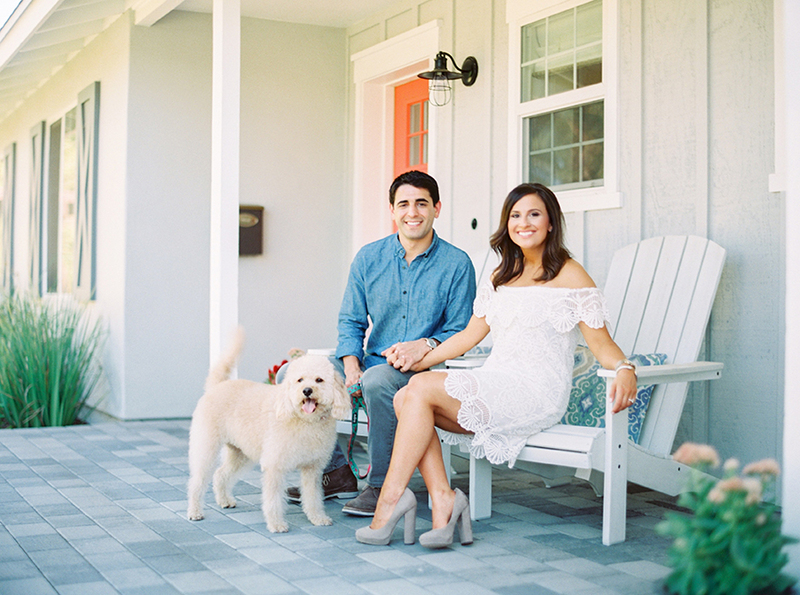 I like to ask whether my clients would like to include a pet in their engagement photos on my Getting To Know You questionnaire right after they hire me, but if your photographer doesn't bring it up, make sure you DO! 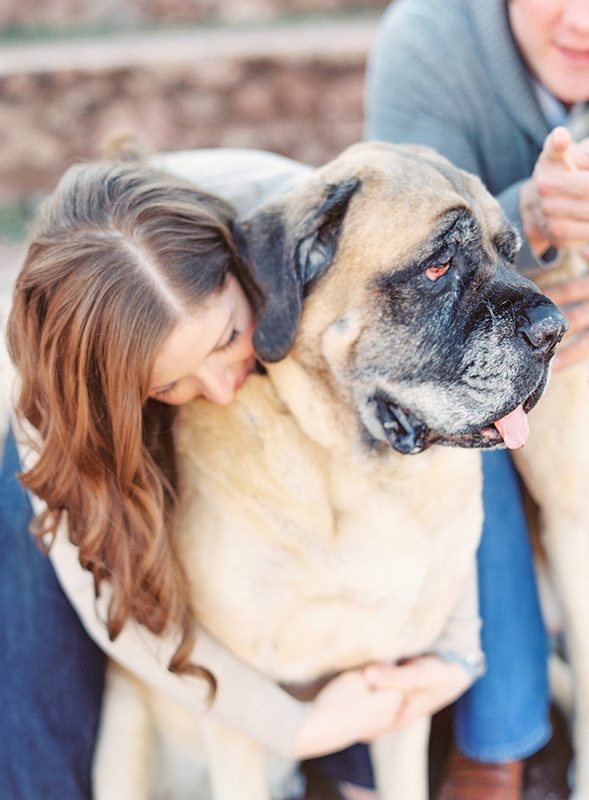 No matter how much you adore your dog, you probably want a significant portion of your engagement photos to focus just on you and your fiancé. So ask a friend or family member (who is already comfortable with your dog) to come along and take care of your pup during the dog-free portions of the shoot. 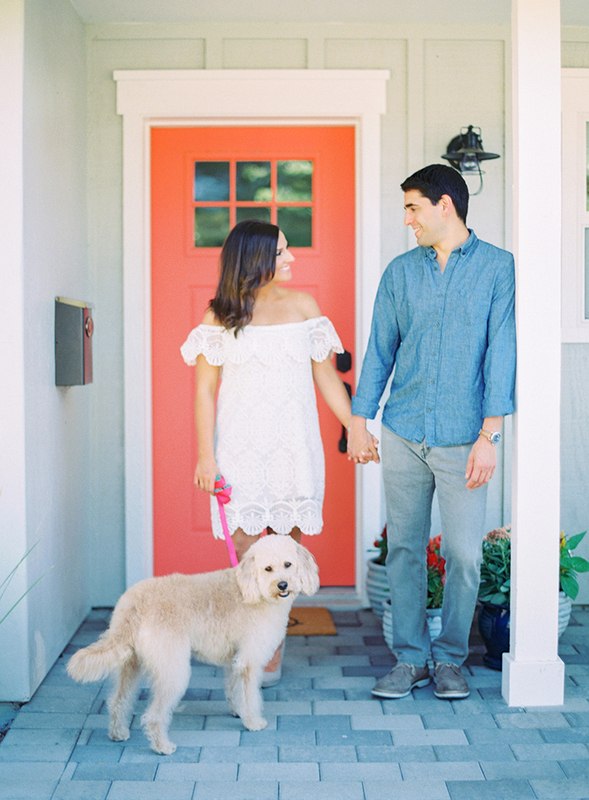 This way you get all of the joy of including your dog without having to worry about them when they're out of the frame! Typically I like to do the first half of the shoot with the dog and the second half without, so it often works great to have the friend or family member take the pup home at the half-way point. Just because a location is outdoors doesn't necessarily mean it's a good fit for your pooch! 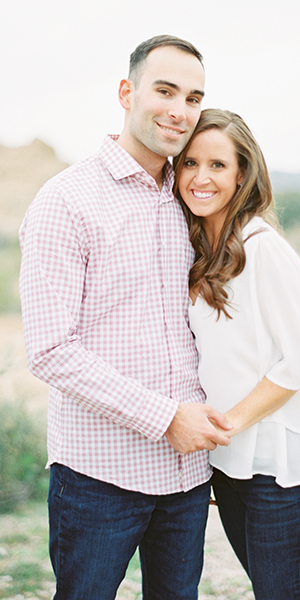 For example, in the shoot above I was taking Jon & Alison into the desert for much of their engagement shoot. Cacti and fluffy fur aren't the best combination! So we made sure to take photos with Wrigley from the safety of their front porch before heading off into the desert without her. 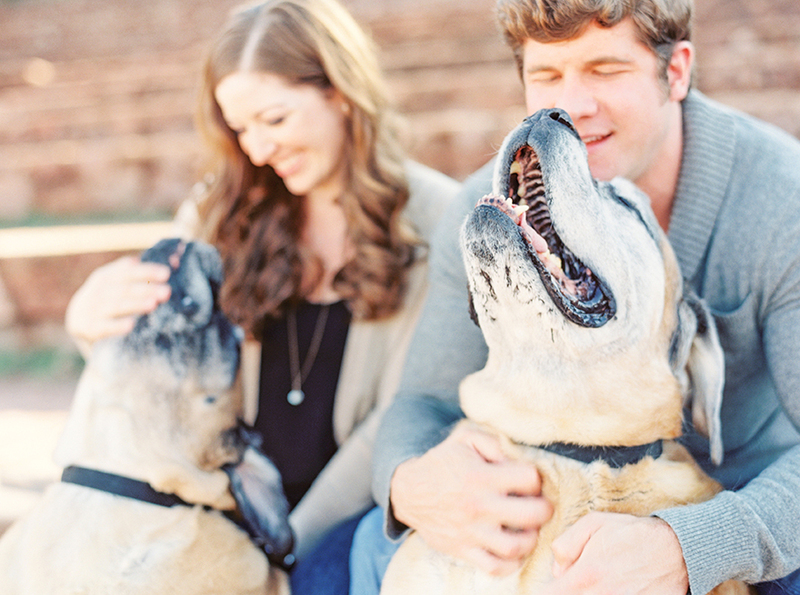 One of the reasons your want your dog to be part of your engagement photos is because they're already a part of your family. So let that connection shine! 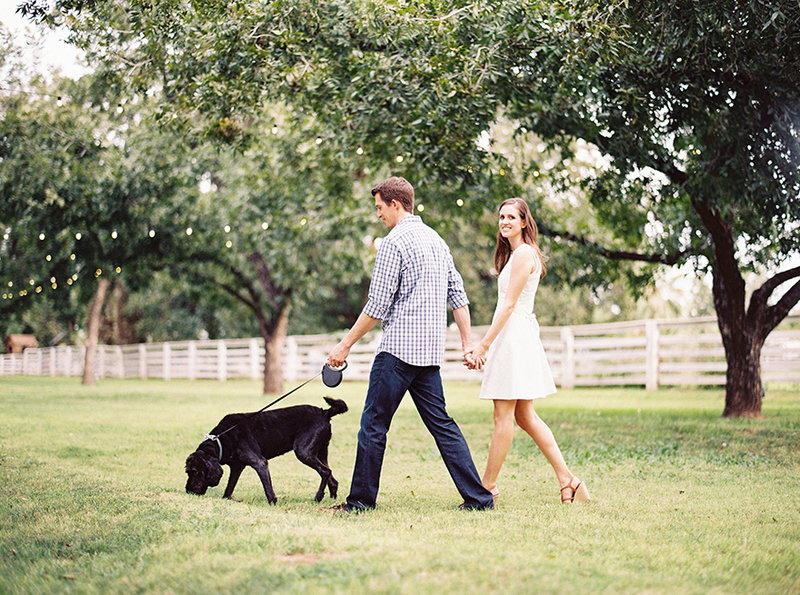 Don't be afraid to have fun with your fiancé and your pet! The happiness and comfort you feel together will show in your images. 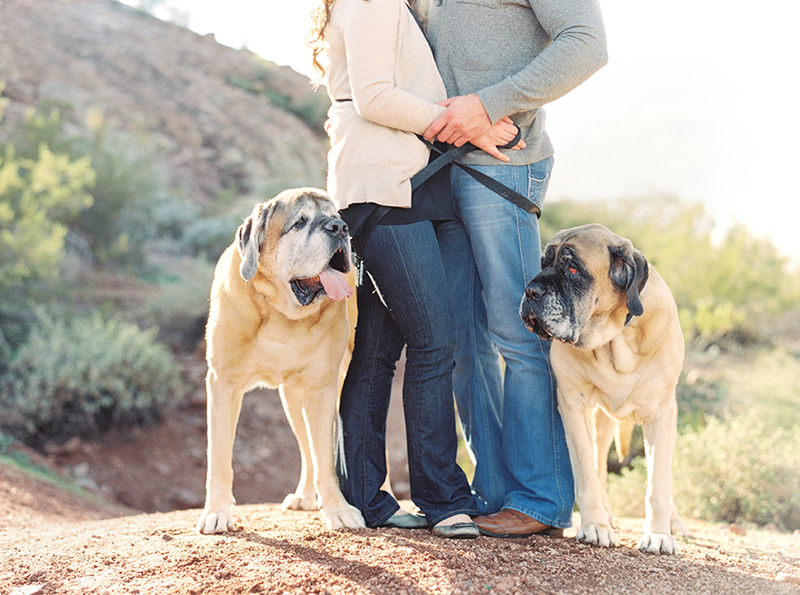 I always feel so blessed to get to document a couple with their furry family members! I know that the resulting photos will be shared and smiled over for years to come. 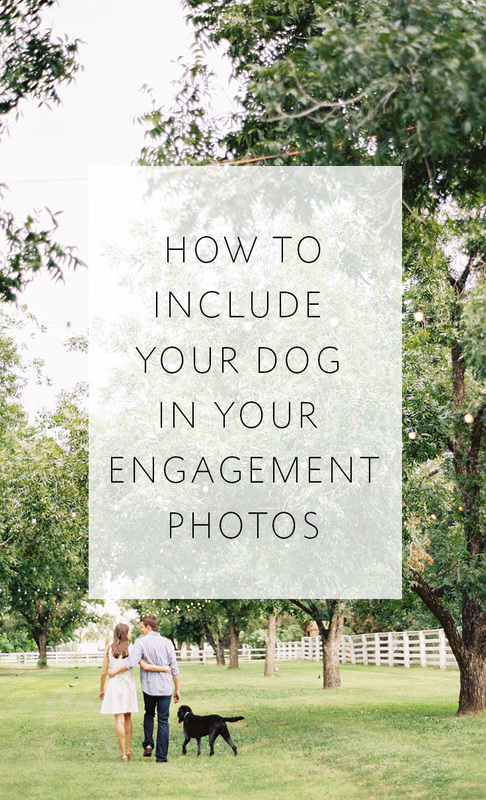 So if you have been wondering how to include your dog in your engagement photos, I hope these suggestions help! 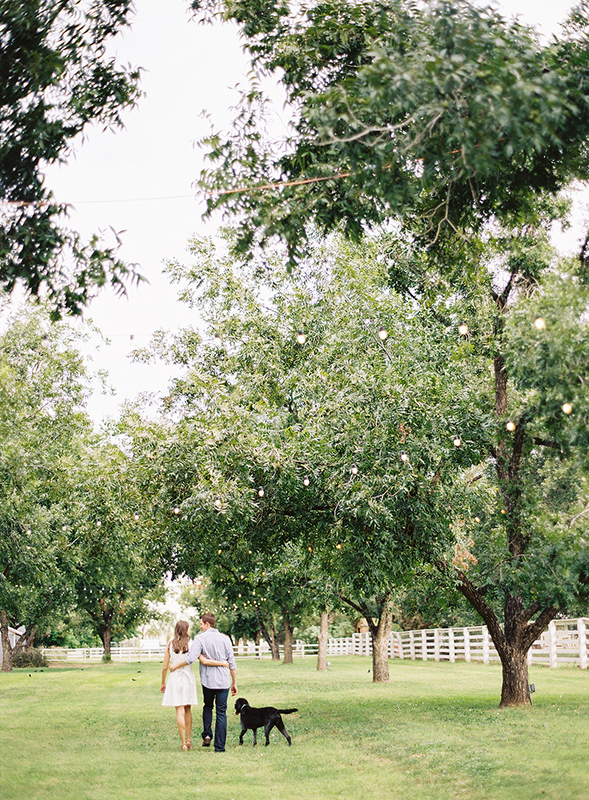 -----------> If you are planning your engagement shoot, you might also be starting to plan your wedding! It's a great idea to start thinking about the timeline of your day early on! 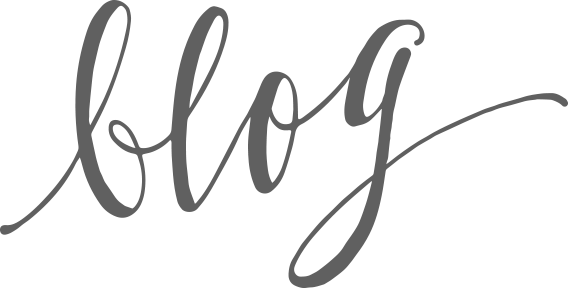 If you would like to have a timeline to start from, click here to take a quick 2-question quiz, and we will email you back with an ideal preliminary timeline based on the sunset time on your wedding day as well as whether or not you would like to do a first look!